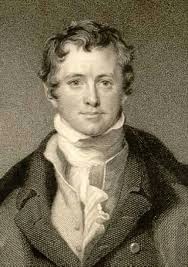 Humphry Davy was born in Penzance village, Cornwall, South Western part of England, On December 17, 1778. His poor father would make a living out of wood crafting, carpentry and farming. 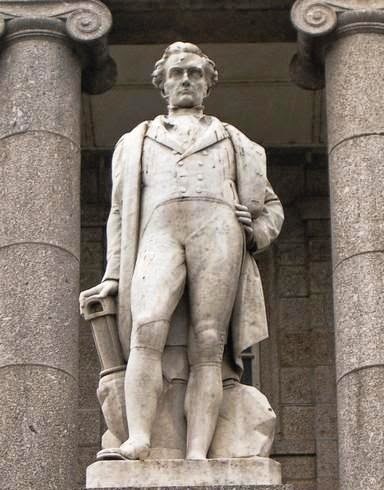 Humphry had his scholling in Penzance and later, he had higher education from nearby Truro. Soon after completion of his primary education, Davy went to a local chemist Thomas Beddoes of Bristol, who trained him in making drugs. Beddoes had a personal library where Davy would spend his free time, reading books. He cultivated great interest in reading here and specifically, in chemistry. He also experimented on the basis of the books that he had read then. 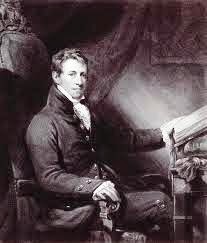 Due to his thirst for reading and experimenting, he came in touch with Watt Jr. the son of Sir James Watt, the famous engineer and inventor. He introduced Davy to the president of The Royal Society, Dr. Gilbert. Impressed by Davy’s interest and dedication, Gilbert wrote a recommendation letter to the founder of the then newly established Medical Pneumatic Institution. This institute conducted research studies on the use of different gases in the field of medicine. He was immediately employed here. Not only that, Davy who had not even seen the University, was lucky enough to get work of his choice. It was here that he worked hard and sincerely to become the youngest head of the institution at the age of 20. Davy, who had come up in life the hard way, was rather, whimsical in nature. His work led him to propose that electrical forces hold the elements of a chemical compound together. Davy must have known of Lavoisier’s suggestion that the alkali earths were oxides of unknown metals. At first, he tried to separate the metals by electrolyzing aqueous solutions of the alkalis, but this yielded only hydrogen gas. 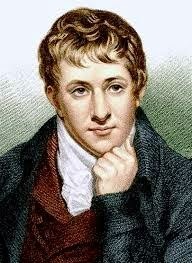 The important discovery he made in the 1799 brought him fame from all over the world. He prepared Nitrous Oxide gas in his laboratory. This gas is used even today as anesthesia for making patients unconscious and then, conduct surgical operations. The operation thus performed is painless and easy to conduct for the surgeon, as the patient remains unconscious throughout the period of operation. However, in his lifetime, this discovery was not put to use. It was in the year 1844 that an American doctor used this medicine to extract his decayed tooth painlessly. The medicine numbed the area near the tooth so that the operation could be conducted without pain and with least effort. There occurred another interesting incident when he discovered this medicine. He drank it instead of smelling it and he had and intoxicating feeling. He would laugh without any rhyme or reason and that is the reason why it was called laughing gas. Davy attained fame due to this very interesting discovery. 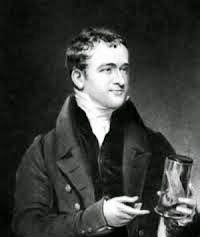 Around this period, Count Rumford, an American scientist, arrived in London and set up the Royal Institute. He extended invitation to Davy for giving lectures in chemistry. Davy had no prior experience as a teacher, yet the manner in which he delivered them and the popularity that he achieved, earned him the title of professor. The reason for this was that he was very good public speaker too. His easy style of communicating and the manner of simplifying and putting forth the most complex issues of chemistry impressed the Agricultural Board of the Royal Institute. They requested him to take up the issues relating to agriculture and provide necessary guidance to them. He then spent the next ten years of his life conducting deep research and studies in the field of agriculture. He provided necessary inputs and guidance in this field and developed fertilizers so as to help increase the agricultural production. Apart from this, he developed electro-chemical process in chemistry. Commonly known as caustic soda, a wet piece of sodium hydroxide is placed in a platinum cup. One end of the wire was connected to one terminal of the battery and the other end to a piece of caustic soda. Another wire connected the second terminal of the battery and the platinum cup. This way an electrolytic chemical reaction took place that produced sodium vapor. Today our roads and streets are lit with the help of sodium vapor lamps. He also isolated potassium with the help of electro-chemical process. Similarly, he also obtained sodium, magnesium, strontium, calcium, chlorine and barium through this process in the year 1808. Following the same process, Charles Martin in the year 1886, isolated aluminum from aluminum oxide. 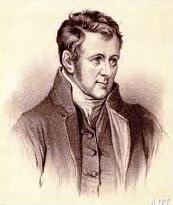 As part of further development, Davy also invented the arc lamp. Impressed by the invention of the electrochemical process of separating sodium and potassium and its technique, Napoleon, the French Emperor presented him with the French Institute Medallion. Even as England and France were at war, Davy, at the age of 30, was presented the medallion at the special ceremony. 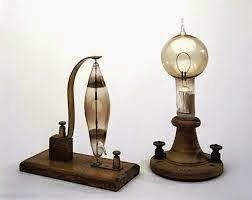 The arc lamp invented lit brighter than any other lamp that was available then. Such arc lamps have applications in the film industry and making of military searchlights. In 1812, a young man named Michael Faraday came to meet him. He would attend every lecture or speech of his and jot down in his beautiful handwriting. He showed those notes to Davy. Learning of his careful and enthusiastic approach, Davy was impressed and he immediately employed him as an assistant. Another reason was that he had suffered from the blinding effects of the experiments he was conducting in the mines and needed a helping hand. This young man, Faraday later went on to become one of the world’s most famous scientists. The same year, the king of England bestowed him the Knighthood. Three days later, he married Jane Apreece, a rich widow. After a few days, the couple accompanied by Faraday as Davy’s assistant and valet went on a world tour to deliver lectures and learn more about the scientific activity that was taking place all over. In Paris, Davy was honoured and made the member of the French Institute. In Italy, he conducted research on the torpedo fish that produced electricity. At Genoa, the famous Italian city, he burnt diamond with the help of arc lamp to prove that it is made of carbon. Visiting Sweden and Germany, he turned back to England and reached there in the year 1815. Now he was faced with a very complex problem. He found its solution by conducting a new and useful research for the world. In the coal mines of Newcastle, frequent accidents used to take place. Due to this, many miners lost their lives and production of coal was also affected. The reason for this was the lamp with flame that was taken inside the mine. The gases present in the mine would catch fire and blasts would occur simultaneously. 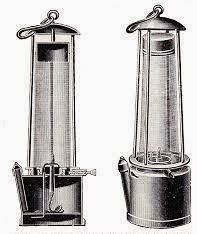 After in-depth study, Davy invented the now famous lamp known as the Davy safety lamp. To ensure that the heat does not ignite fire, a round wire gauge mesh was placed around the flame. The gases never came in contact with the flame. This way, the number of accidents was reduced and many a lives were saved. This was the period when the battery torch was not yet invented. Davy was so humble that he refused to patent the invention and for the safety of the miner he allowed his invention to be freely used without any charge. The mine owners were happy for this gesture of his and presented him a silver dinner set. As per Davy’s will, the silver set was melted on his death and sold. Davy medal was instituted in his memory out of the money collected and is presented every year to scientists of Europe and America who make significant contribution in the field of chemistry. 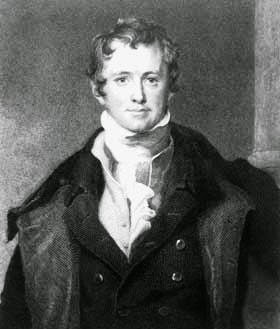 In 1818, Davy was made the Baronet and honoured. 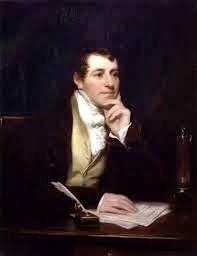 In 1820, he was made the president of the Royal Society. He was not well mannered nor polite due to which did he become very unpopular. He earned more enemies than friends and had to finally give up the position.